Have you ever wondered how you can monitor the financial health of your practice with your MicroMD PM system? If you are nodding your head yes, we can help. In this session, we will suggest monthly, quarterly, and yearly reports to run and analyze in your software. Coupled with this, our expert will show you how to balance month end reports, identify problem areas, evaluate your performance by procedure codes and payers, and more. You CAN claim your positive payment adjustment!”: The regulations have changed, but the positive reimbursement adjustments are still well within your reach. After attending this session, you will understand the changes in regulations and the impact they have on your participation in MIPS. You will be able to identify ways your practice can participate and receive positive payment adjustments for Medicare in 2021 and beyond. Clinical decision support is widely talked about and highly regarded in healthcare, and for a good reason. In this session, we will discuss what is, how it is used, and the ways it ties into the incentive programs you may already be participating in. Lastly, we will discuss how it works with MicroMD EMR, the add-on tools available to your practice, and the resources your practice can access when making critical care decisions. Looking to have some lab time all to yourself? Scheduled lab time is available in half hour increments providing you with one-on-one time with our trainers and support staff. We ask that each individual reserve no more than TWO lab time openings to ensure other attendees have the opportunity to take advantage of our lab. MicroMD may cancel your excess reserved lab time if you schedule more than two slots. Another year means another new year of CMS changes – join us as we discuss topped our measures for 2019 that may impact your practice. We will also review the most significant changes to common quality measures and discuss how to move the needle on numerators and denominators for the most commonly used quality measures. Lastly, our MicroMD expert will discuss resources available to assist you with quality measures as you move through the 2019 reporting year. You may wonder how you could ever treat a patient over the computer! Let’s take a practical look at implementation of Virtual Visits and how they are beginning to revolutionize medicine. You will see virtual visits in use and be able to identify ways you can implement virtual visits in your practice. Virtual Visits are a win-win for both the provider and the patient in improved revenue and satisfaction. Learn how you can get started now! Accelerating your office’s front desk experience begins with the automation tools you implement. In this session, we will discuss the benefits of automation tools, simplifying the front desk check-in process, and various ways increase patient interaction at your practice. If you are looking to implement new tools, reduce no shows, and streamline patient payments… join us to learn more about the resources available to your practice. If you are looking for something fun to do before day two of classes, come to MicroMD’s 2019 Pre-Conference Mixer. Attendees can pick each other’s brains at “Human Bingo,” test their pop culture knowledge at trivia, and enjoy delicious appetizers from the Avalon Inn & Resort. Join us, our partners, and other MicroMD users for a fun night of games, food, and fun. Did you know that MicroMD has various ways to document your clinical data? Join us for a workshop on changing to the all in one wizard, cleaning up the chief complaint with a hybrid, and learning how to default normals, use point and click in a text window, and still count E&M level. Our expert will also demonstrate how to add a bonus step to your wizard, copy forward clinical notes, without the data, and provide you with an experience you won’t forget in the NEW interactive encounter. With each New Year comes new regulatory changes from CMS, and 2019 is no exception. In this session, Trisha Conway of eHealth Consulting will review the MIPS program changes for 2019, the best practices for Cost, Quality, Improvement Activities, and Promoting Interoperability, and the resources available to practices as they move throughout the reporting year. Implementing EMR happens once. Adoption happens over time. The fact that a detailed plan is needed before selecting and implementing an EMR is well-documented, but what about after implementation? This session will help you identify ways to get the most out of your EMR by reviewing what your EMR is designed to, identifying gaps in optimization, offering a timeline of best practices, and highlighting how to monitor and measure success. You have heard the term “interoperability” in the healthcare sphere, but do you know what it means and how it impacts your practice? Join us as we dive in what all of the buzz is about and what your practice should know about interoperability. We will discuss what interoperability options are available within MicroMD EMR and what the future may hold in the healthcare interoperability space. If you are looking for ways to optimize your use of your MicroMD EMR system, Helpful Hints will help you do just that. Let us show you areas of MicroMD EMR you may have forgotten and review features from version releases that you may not be taken advantage of (yet). In this session, we will be highlighting valuable time savers to help you improve clinical and administrative efficiencies. Electronic healthcare data is the richest source of information hackers want to access. The negative impacts of a data breach on patients and your practice can put a significant reputation and financial strain on organizations large and small. This session will focus on the current state of healthcare data security, data protection challenges, and best practices for minimizing breach potential and managing a breach if one should occur. Open lab time is available throughout the conference. If you have specific questions regarding your practice’s use of the software, now is the time to seek answers. Stop by! One of the most noted transformations in the current healthcare landscape revolves around patients and their growing involvement in their care. Patients have become so engaged and informed that the industry is largely starting to refer to them as consumers. But the two aren’t synonyms, patients | consumer, and the labels aren’t interchangeable. A patient is also a healthcare consumer, but a consumer is not necessarily a patient, but they both need our help. Population health management has gained quite the buzz in healthcare, but what does it mean and how can your practice implement its tools? In this session, our experts will discuss common approaches to population health management, the benefits to both you and your patients, and how you can leverage these tools in your daily workflow. From there, we will dive into managing patient generated health data (PGHD) and the best practices to maximize use of your solution. Your value proposition starts and ends with your customers. Spend time understanding their opportunities and challenges, then give them products and services that delight them. The populations within our communities need care that is coordinated among multiple settings and providers, care that is far easier to navigate than what they have now. A focus on caring is important, but it is inherently narrow. The new value proposition requires a much broader perspective it expands from caring to helping. The goal of this session will be to use the tools at your disposal to identify current and potential issues, track claim progress, monitor & follow up on out bounded claims and to use all of the information you gather from that process to implement the best workflow for your practice. Getting the cleanest claims possible out the door and turning them into Paid Claims is our ultimate goal. So this session will also contain all the Newest information from our latest Release to help you maximize the utility of your tools. Using Key Practice Indicators (KPIs) to monitor a medical practice’s financial performance is one of the key elements to ensuring financial success. This session will provide an overview of the revenue cycle, identify key revenue and profitability drivers, highlight the key daily, weekly, and monthly KPIs monitored by successful practices, and share best practices for maximizing revenue and minimizing the time it takes to get it in the door. Managing a successful practice not only means you provide quality care to your patients, but that you also run a profitable business, attract and retain patients, reduce healthcare costs, and more. Join us for guidance on how to conduct a cost/benefit analysis to identify and justify the investment in common tools that help improve the practice efficiency and effectiveness across the front desk, exam room, and revenue cycle. Speaker(s): Bo Nielsen, CEO, AutoRemind Inc. In this session, you will see examples of how other practices communicate electronically, utilize automatic appointment creations, and implement patient surveys. Our product expert will guide you through the importance of reputation management and why it is important to have a strong online presence. Join us as we delve into the best practices for patient engagement at your practice and how you can achieve better patient satisfaction. Join your peers and MicroMD team members as we host a workshop to identify and share best practices to boost your participation in each of the four MIPS performance categories – Quality, Promoting Interoperability, Improvement Activities, and Cost. 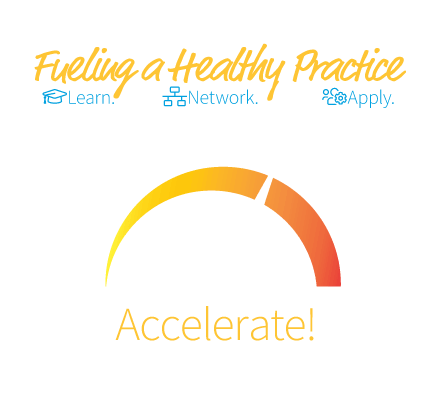 Learn ways to maximize your 2019 score and hear from other practices what they’re doing to not just meet, but exceed, scoring requirements. This will be an interactive session during which we’ll highlight the Year 3 requirements, share best practices, and ask you to share with your peers the practices that are working – and aren’t – in your own organization. Join us to share what’s working with numerators and denominators, monitoring scores, coaching users to capture required data, data submission, minimizing cost, measure selection and clarification, workflow implications, and improvement activities. As your trusted adviser, it is our duty to improve your practice efficiencies and we do just that with our integrated MicroMD PM and EMR systems. Join us as we review how patient and appointment data is shared between systems, how referrals work, and how encounter data and pending charges interact between MicroMD EMR and PM. At the end of this session, we will close by discussing the charges reconciliation report. Now is the time to tackle complicated tasks in your software like a pro with reduced clicks in your clinical workflow. In this session, our expert will discuss an alternate approach to fast and quick review of systems, fillable PDF cheats, word table cheats, and our Dragon voice recognition software eService. If you have “working smart ideas” that enable you practice to solve workflow issues, we want to hear from you! Submit your ideas to lori.ryan@henryschein.com for a chance to have your contributions presented during the session. Patients and physicians tend to agree: out-of-pocket costs should factor into prescribing decisions. Getting accurate cost information at the point of care used to be difficult, but now it’s possible with prescription price transparency in MicroMD. During this session, you will learn how Real-Time Prescription Benefit combined with Electronic Prior Authorization integrates with your current e-prescribing workflow, enabling you to make medication decisions with complete, patient-specific drug benefit and cost information, then seamlessly complete the prescribing process without leaving the EHR. We know how much you love the hands-on experience, and how beneficial it can be. We encourage you to take a seat at one of our workstations running the latest MicroMD software. Enjoy access to trainers and support staff who can give you a personalized experience. Open and scheduled lab times are available throughout the conference. This is your opportunity to experience one-on-one product tutorials from our product experts. Bring your questions – they have the answers and insight into your practice’s needs. Open lab time is available throughout the conference. Please reference our ‘Agenda’ section for specific times on when the Learning Lab will have open slots. Looking to have some lab time all to yourself? Scheduled lab time is available in half hour increments providing you with one-on-one time with our trainers and support staff. Time slots are available during the conference and are limited to 5 spots per half hour time slot, with each spot being for one person per practice. We ask that each individual reserve no more than TWO lab time openings to ensure other attendees have the opportunity to take advantage of our lab. MicroMD may cancel your excess reserved lab time if you schedule more than two slots. Please ensure to register for a time slot early, as they will go fast. Reference our ‘Agenda’ section for specific times on when the Learning Lab will have available scheduled slots.